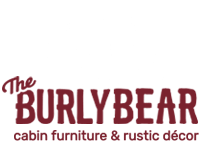 Whether you are looking to decorate your cabin or liven up the front of your business, you are sure to find the perfect piece of art from The Burly Bear collection of chainsaw and wood carvings. 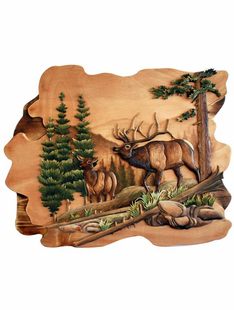 Our online and physical store in Arizona are packed with a wide variety of chainsaw wood carvings, bear wall art, and cabin décor to add more rustic charm to your home, cabin, or business. 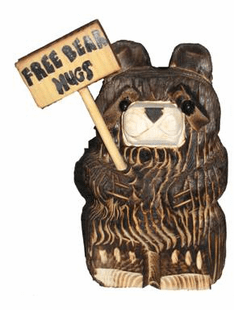 You can find the perfect wooden bear statue to decorate your living room or outdoor area. 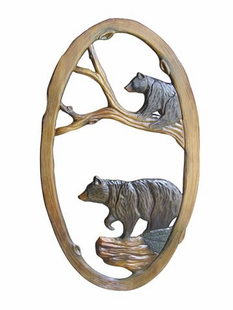 Our selection of intarsia wall art features bears, deer, horses, wolves, and other forest animals. 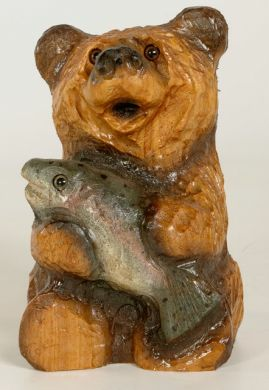 We have several artists’ work for immediate shipment from our physical store in Pinetop, AZ. 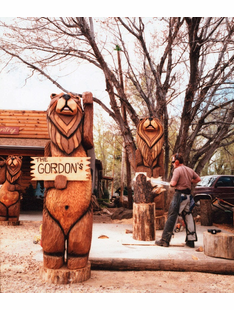 We also work with chainsaw artists to offer custom chainsaw carvings, no matter the size. Give us a call at 928-367-2327 or email us at info@theburlybear.com to learn about getting your very own personalized chainsaw art.